Eight-time major winner Tom Watson is sharing his short game knowledge with our good friends at Adams golf. 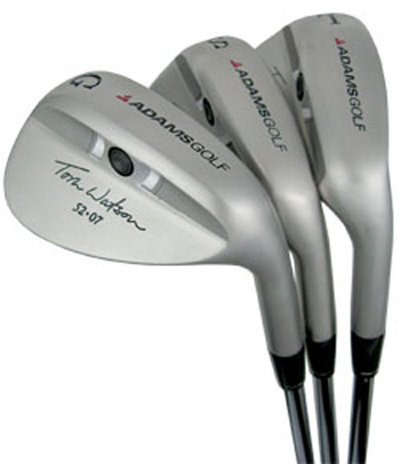 The result is the best selling wedge set on the market. The new 2007 version features a fog satin finish, lower CG and a vibration dampener for the ultimate in feel and performance. LENGTH - LIE - LOFT: 52� & 56�= 35.5", 60� = 35.25"